For men and women in Darlington, north east England and surrounding areas. 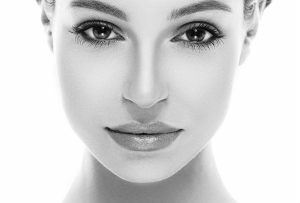 At Skin Renaissance we offer a full range of non-surgical cosmetic treatments from dermal fillers, anti wrinkle injections, thread lifting face lifts, microneedling, pigmentation and acne management and medical Obagi skin peel resurfacers. We also stock some of the most advanced medical skin care regimes available. The Skin Renaissance clinic in Darlington, County Durham is led by Kim Chown and serves clients across the north of England including Northallerton, Thirsk, Whitby, Richmond and Catterick. Kim qualified as a medical nurse in 1996 and underwent additional training to obtain a Masters degree. She has made it her passion to deliver personalised, results driven treatments. Kim’s aim is that your journey at Skin Renaissance is comfortable, relaxing and tailored to your needs. In short, Skin Renaissance is about you. 34% of Skin Renaissance clients are male. Today, men of all ages and all walks of life seek aesthetic rejuvenation procedures. The amount of men coming in to our clinic is steadily increasing and it contains an array of men from various professions and backgrounds. At Skin Renaissance we are skilled at achieving subtle results for our male clients (as we are for our female clients too) & all customers (male & female) can expect a top class discrete service that is second to none. Just a little something to you from Skin Renaissance. Why not take advantage of our loyalty scheme and you can save £’s off your treatments. For Anti-Wrinkle Injections, Fown Lines, Crow’s Feet, Cheek Augmentation, Jaw Lines, Brow Lifts, Hyperhidrosis, Tear Troughs, Peri-Oral Lines and more.